We believe passionately in the importance of a shared vision, values and aims. 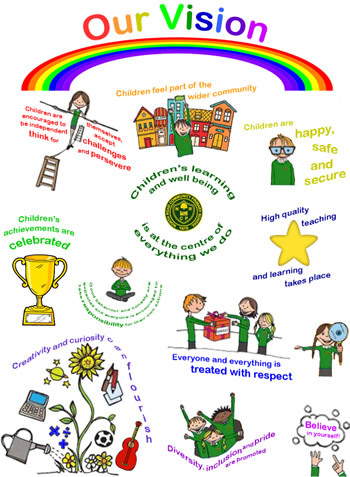 You should be able to ‘see, feel, touch and believe’ our value statements in all aspects of school life. North Road Primary School is a school where everyone is encouraged to develop a love for learning, fulfil their potential, and discover new talents. 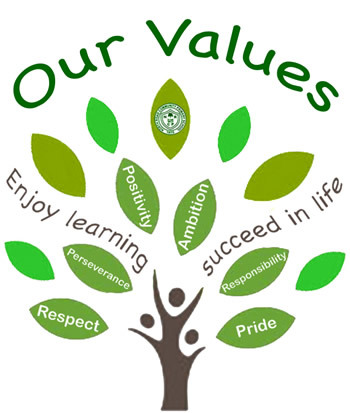 Our vision and aims are underpinned by the school values of Respect, Perseverance, Pride, Responsibility, Ambition and Positivity.